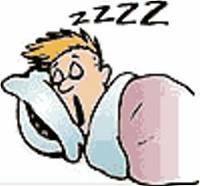 I heard an interesting radio article this week about sleep…and the part that stuck in my mind was that if a person goes to bed a hour later each evening for a week, only one hour, then by the end of the week he/she has (in theory) missed a night’s sleep. We need this vital ingredient so much for recovery, growth and recuperation before we arise the next morning and start again. If you are missing that night’s sleep a week, then try going to bed an hour earlier each night…you may really notice the difference by the end of the week. Ps. Check us out on Amazon – search us under ‘Hayshee Natural Living’ for our series of super-cheap (99c) or free eBooks!